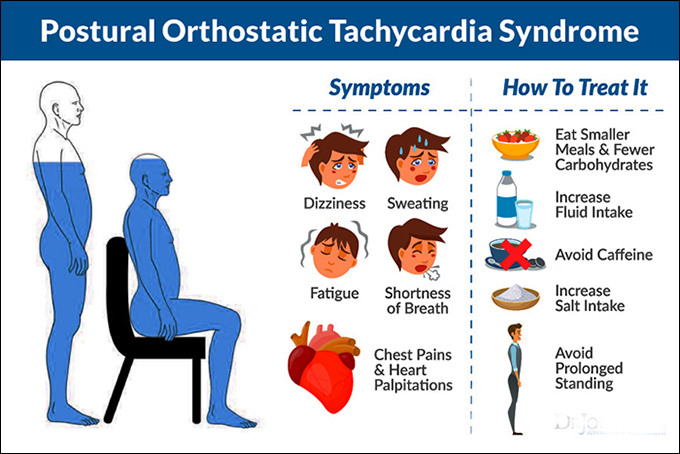 Postural orthostatic tachycardia syndrome (POTS) is a circulatory disorder, affecting the flow of blood in the body of the affected individuals, particularly women. This disorder is typically characterized by an abnormally large increase in heart rate, which occurs when a person stands up from a reclining position. In POTS patients, most of the blood stays in the lower part of the body when they stand up from a lying-down position. Hence, in an effort to reach the blood to the brain, the hearts start beating abnormally fast when the sufferer stands up; thereby leading to the possibility of a drop in blood pressure which, in turn, disturbs the body functions. It is usually categorized as a ‘‘Dysautonomia’ disorder. The classification of ‘Dysautonomia’’ disorders is based on the involvement of a dysfunction of the autonomic nervous system (Dysautonomia’) which manages a number of body systems, including the metabolic and endocrine systems, the cardiovascular system, bowel functions, temperature regulation, and reproductive system. It is a kind of orthostatic intolerance (OI), in which the symptoms of the disorder get triggered due to a change in position, from lying down to standing up. The symptoms -- weakness, light-headedness, blurry vision, or trouble thinking -- may be relieved by sitting or lying down again. The risk of developing POTS is high for women, especially during their child-bearing years. Hence, the disorder can affect women aged between 15 and 50 years. This could be so because there is apparently a correlation between POTS and hormonal imbalance. In addition, the risk factors of POTS also include a family history of the disorder. Though the exact cause behind the occurrence of POTS is not yet fully known, the disorder can potentially get triggered by several diseases and conditions, including Anemia, Diabetes and pre-diabetes, certain infections (like Lyme disease, or Hepatitis C), Autoimmune diseases (like Sjogren’s syndrome or lupus), and Multiple sclerosis. Ayurveda or ‘whole body’ healing system is more than 3,000 years old and is one of the most ancient and well-documented systems of medicine. This healing system is based on the belief that health and wellness are dependent on a balance between the body, mind, and spirit. Diseases like POTS can be managed, in a safe and natural manner, with the help of herbal formulations which can boost overall health and maintain wellness. 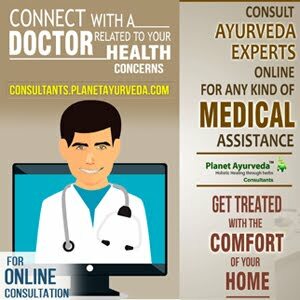 Since Ayurvedic practitioners believe that good health is a result of a balance between three ‘doshas’ (or fundamental bio-elements of the body) called ‘Vata,’ ‘Pitta,’ and ‘Kapha,’ the herbal formulations prepared for managing POTS are specifically aimed at the prevention, progression or treatment of the disorder. Experienced Ayurvedic practitioners generally create a personalized POTS treatment plan for individual patients. The plan is designed according to the unique physical and emotional characteristics of the patients, as well as their primary life force and the balance between all the three doshas in their body. The conventional treatment of POTS generally involves the doctor’s recommendation of certain medicines which help with the flow of blood in the body. In addition to medicines, doctors may also advise POTS patients to wear compression stockings to push the blood up from the legs to the heart, increase dietary salt and water, do exercise, and undergo cognitive behavioural therapy. 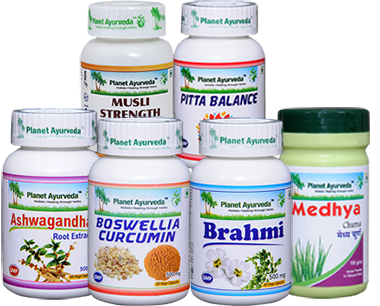 Planet Ayurveda herbal manufacturing company offers some beneficial herbal products which can be effective in managing POTS in a natural manner. These products are prepared under the guidance of renowned Ayurveda experts. For preparing these products, 100% pure and natural herbs are used. The products are free from chemicals, preservatives, artificial colours, additives, and binders of fillers. To prepare these capsules, a combination of several beneficial herbal components is used, including Praval Pishti (Coral Calcium), Mukta Pishti (Pearl Calcium), Akik Pishti (Agate Calcium), Jawar Mohra Pishti (an Ayurvedic Calcium compound), Kamdudha Ras (an Ayurvedic Calcium compound), and Giloy satva (extract of the Giloy herb, Tinospora cordifolia). The herbal components of Pitta Balance capsules can help in managing POTS because of their ability to purify the blood, control blood pressure, boost the immune system, support the digestive system, relieve muscular cramps, and balance the Pitta dosha of the body. These capsules are prepared from standardized extracts of ‘Brahmi’ herb (Bacopa Monneiri). The herb is widely used in Ayurvedic medicines because of its proven properties as an aphrodisiac, memory enhancer, and health tonic, along with its immense therapeutic significance. The use of Brahmi capsules can benefit POTS patients because of their capacity to regulate blood pressure, promote mental health, strengthen the immune system, reduce stress and anxiety, relieve inflammatory conditions, and eliminate free radicals from the body. The preparation of these capsules involves the use of the standardized extract of the potent ‘Ashwagandha’ herb (Withania somniferum). The herb is known for its immense medicinal value and anti-inflammatory properties. Patients affected by POTS can benefit from the use of Ashwagandha capsules because of their ability to support nerve functions, enhance heart health, reduce metabolic imbalances, strengthen the muscles, reduce hypertension, manage inflammation, promote mental health, rejuvenate the body, and balance the Vata and Pitta doshas. The standardized extracts of two beneficial herbs -- Safed Musli (Chlorophytum borivilianum) and Gokshura (Tribulus terrestri) -- are used for the preparation of these capsules, which are considered a very useful herbal product for improving overall health. The use of Musali Strength capsules is beneficial for POTS patients because they can improve blood circulation, strengthen the muscles, improve nervous disorders, treat hormonal imbalances, enhance the immune system, and treat weakness (particularly sexual weakness in men and women). These capsules are prepared from a combination of two potent herbal ingredients --- Shallaki (Boswellia serrata) and Curcumin (Curcuma longa) -- which have proven anti-inflammatory and antioxidant properties. The use of these capsules can benefit people suffering from POTS because of the ability to increase blood supply to the joint tissue, maintain a healthy cardiovascular system, support healthy functioning of joints, and boost the immune system. A combination of some extremely beneficial herbs is used for preparing this herbal powder, including Ashwagandha (Withania somnifera), Sonth (Zingiber officinalis), Pippali (Piper longum), Maricha (Piper nigrum), Brahmi (Bacopa Monneiri), Shankhpushpi (Convolvulus pluricaulis), Vacha (Acorus calamus), Shwet Jeerak (Cuminum cyminum), Krishna Jeerak (Carum carvi), and Ajmoda (Carum roxburghianum). The use of Medhya churna is beneficial in POTS disorder because its herbal components can detoxify the body, rejuvenate the nervous system, enhance memory and concentration, reduce stress and anxiety, improve the functioning of the immune system, and balance the body’s Vata, Pitta and Kapha doshas. Dosage: Half teaspoon, two times a day. Planet Ayurveda's herbal products for managing Postural Orthostatic Tachycardia Syndrome (POTS) are prepared in accordance with the basic principles of Ayurvedic medicine --- that is, to prevent and treat diseases by maintaining the balance and harmony between the body, mind and environment.